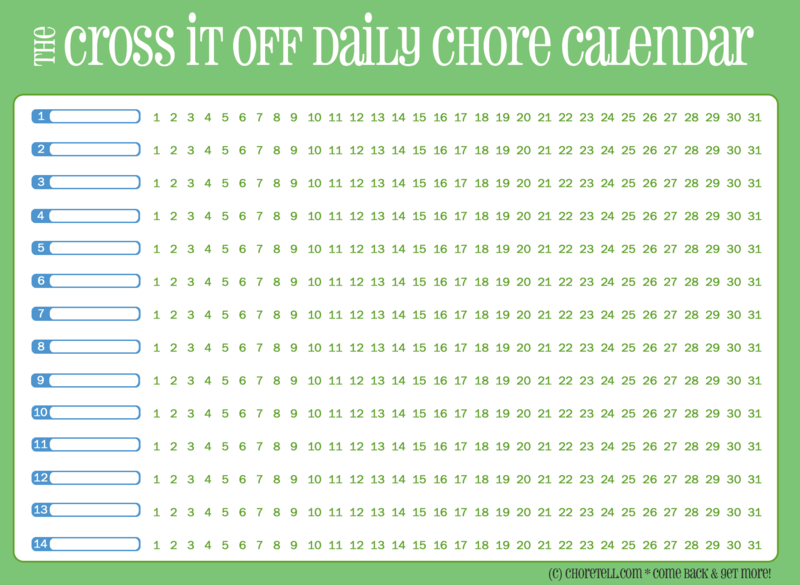 Here you can download a free daily chore calendar (with a to-do list on the side). 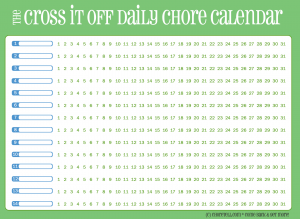 This full page calendar works for any month! This version of this blank calendar is green and white, with a blue accent. 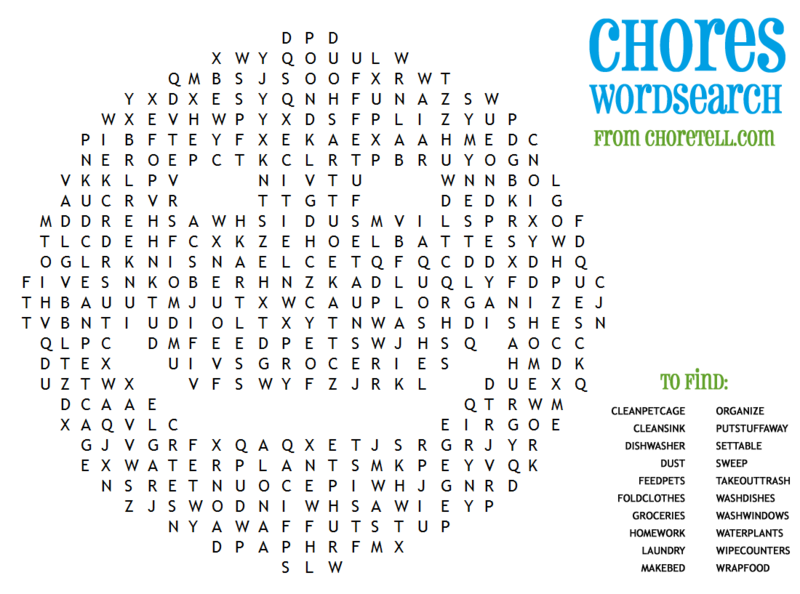 The kids helped come up with this one -- a wordsearch! It's just a fun way to remember chores.